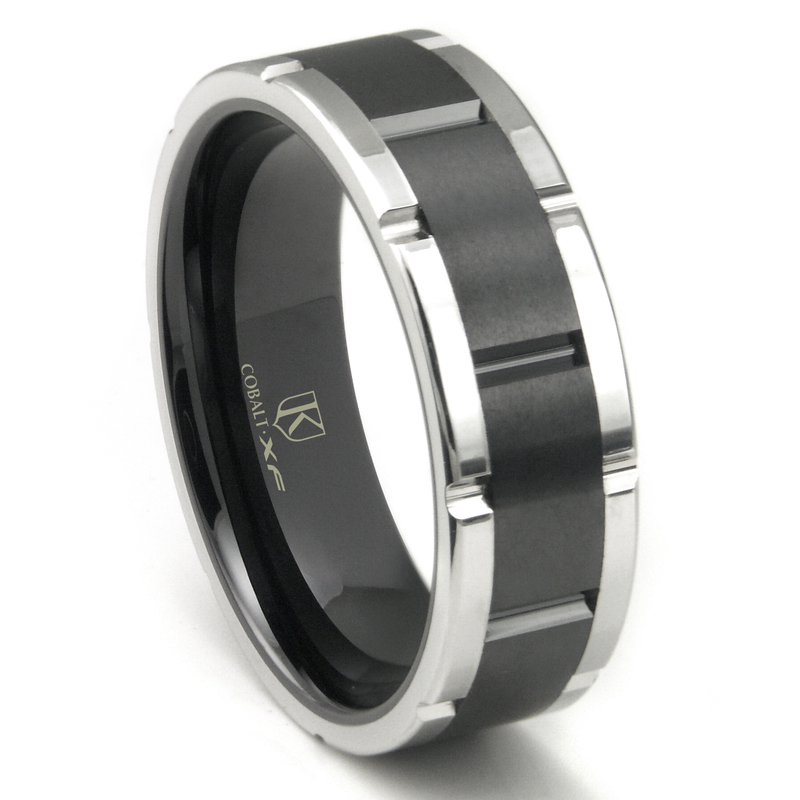 The cobalt xf chrome 8mm two-tone matte finish center wedding band stands out as a men's wedding ring with its style and design. Cobalt Chrome is a superb alternative to precious metals such as Gold, Silver, and Platinum. Its color will not wear off, since it’s not plated with Rhodium. Made of high polish cobalt chrome with a black matte center this ring measures 8mm wide and comes in an assortment of different sizes. If you have any size concerns contact us before ordering and we will be glad to help you. Our cobalt xf chrome 8mm two-tone matte finish center wedding band will not bend, crush, or break. It is highly scratch resistant and looks like a platinum ring with its bright white luster. This ring will be a perfect gift any time of the year, it is not just a wedding band but can be given for any occasion.